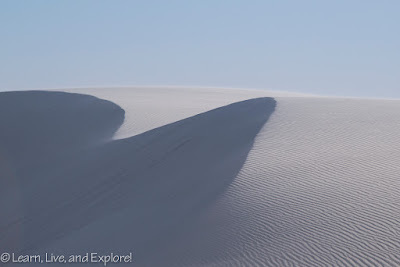 Photographing White Sands National Monument ~ Learn, Live, and Explore! 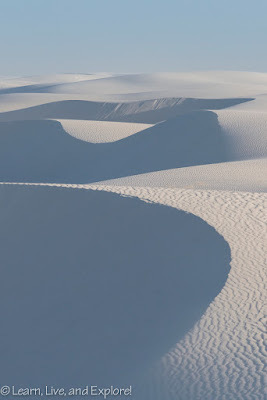 I'm from Washington D.C., so I know my monuments, but here's the secret: White Sands is not a monument at all! 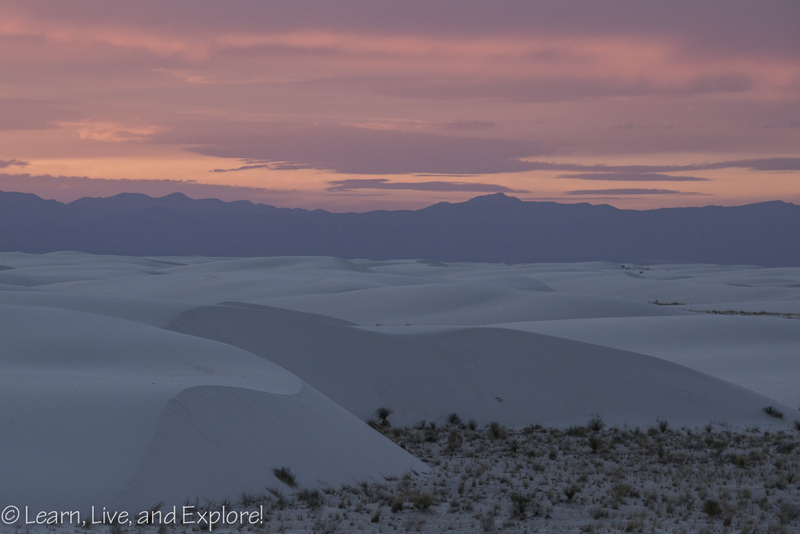 Located a little over 15 miles from Alamogordo, New Mexico, White Sands National Monument is 275 square miles of white gypsum sand dunes. 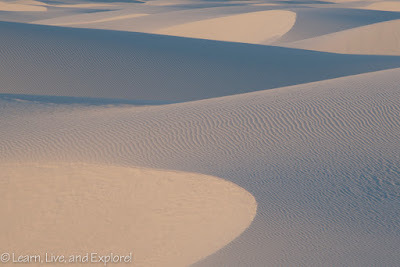 It is a perfect place for photographers from sunrise to sunset because the large dunes complement the soft colors in the early and late skies; and during the typical mid-day bright light times that photographers tend to avoid, it's actually a great time to play with dramatic shadows, curves, and sand ripple lines. When you turn into the national park, the ranger station is located to your right. Make sure to grab some water there if you forgot to bring a bottle. There is nothing but picnic tables and restrooms for facilities inside the park. 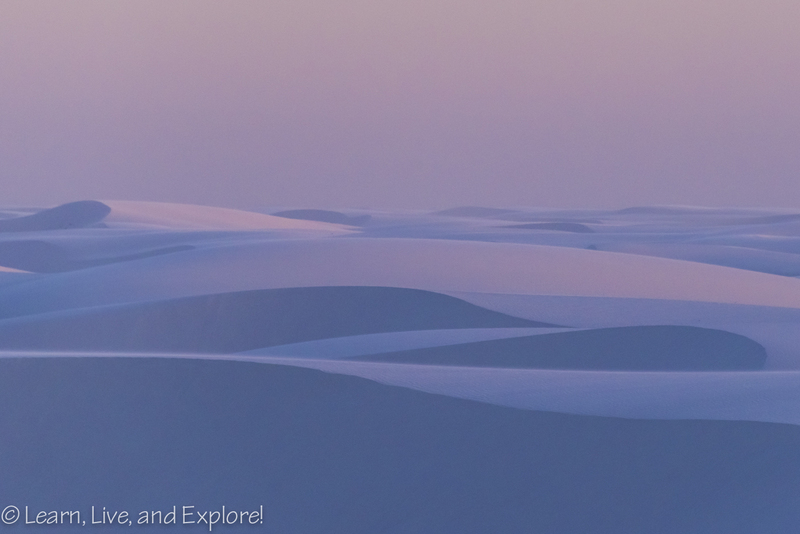 Also, if you wanted to sled down the dunes, you can pick up a rental there. After you stop at the ranger station, get ready for a 10-15 minute drive to get to the big dunes. I found that I spent most of my time on the left half of the loop drive, near the back country camping area parking. The dunes were bigger over there, but you sacrifice getting a yucca plant for the foreground. 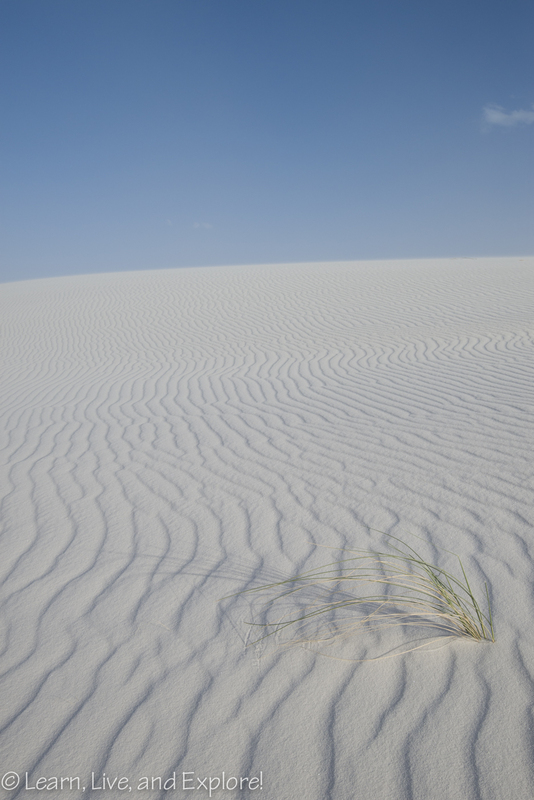 The yuccas tend to be mostly located before you hit the loop. Timing a trip for the yucca bloom is tricky, so that may be a moot observation. 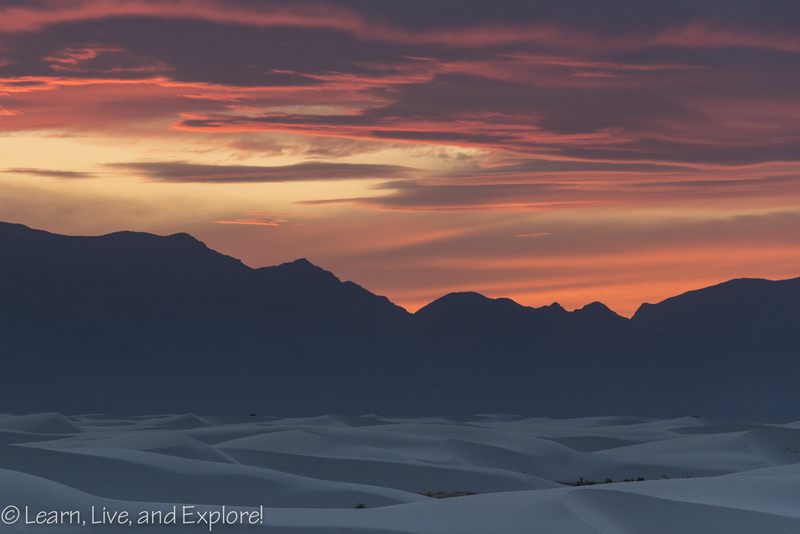 The park has varying opening hours throughout the year, so check the NPS website. If you find that sunrise and sunset times fall at or within the open times, there is an option to get a permit to enter the park 1 hour early or leave the park 1 hour after closing. To get this permit, you will have to stop at the ranger entry gate before the park drive (where you show your annual NPS pass or buy a day pass). Some quick paperwork and a cash payment ($50 for each hour), and you're in. 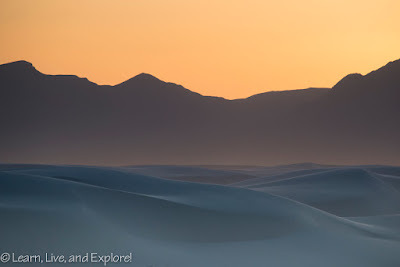 I would suggest calling the park before your trip and making sure that a permit is available/a ranger will be there to let you in on your preferred day(s). Winter months are better bets to not have to pick up a permit because of the later sunrise and earlier sunset times. The photo below was taken of a sunset within normal hours. I did have to pack up quickly to make it out of the park in time, though. Winter months are also better for temperatures. It can get very hot in the summer. 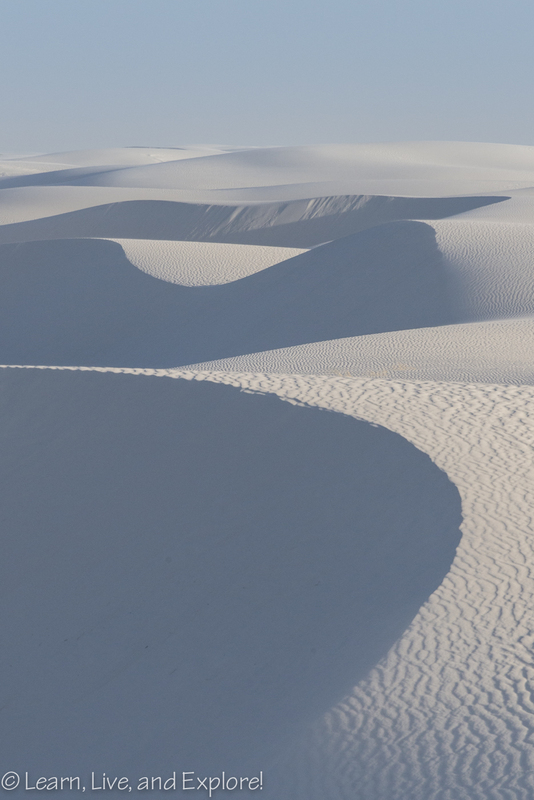 The gypsum, unlike other sands, tends to stay cooler though because it tends to better retain moisture. 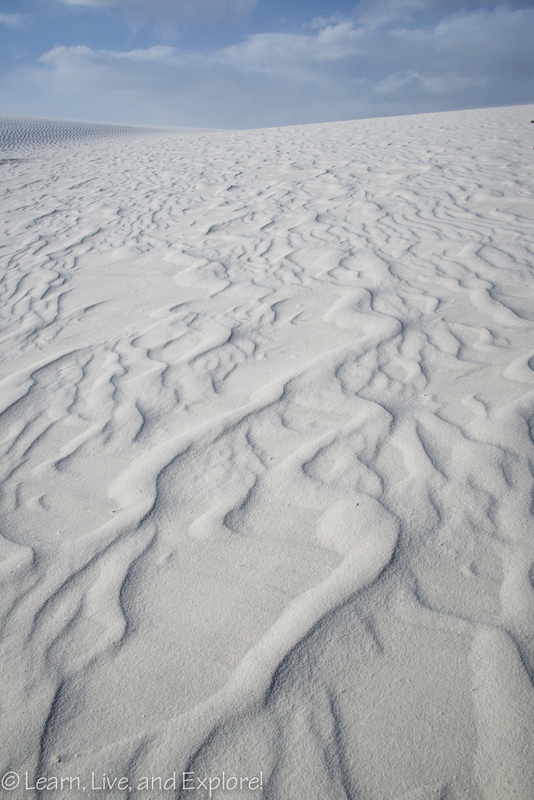 One more note on timing, the less busy times also means less footprints in the sand. Wind at White Sands can be your friend and your enemy. 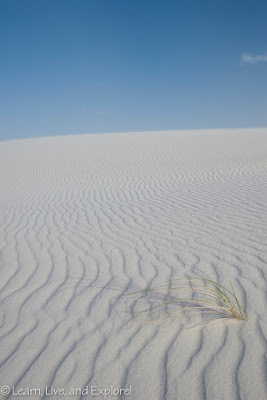 A decent wind will help to quickly erase footprints and leave you with some pristine dunes to shoot. 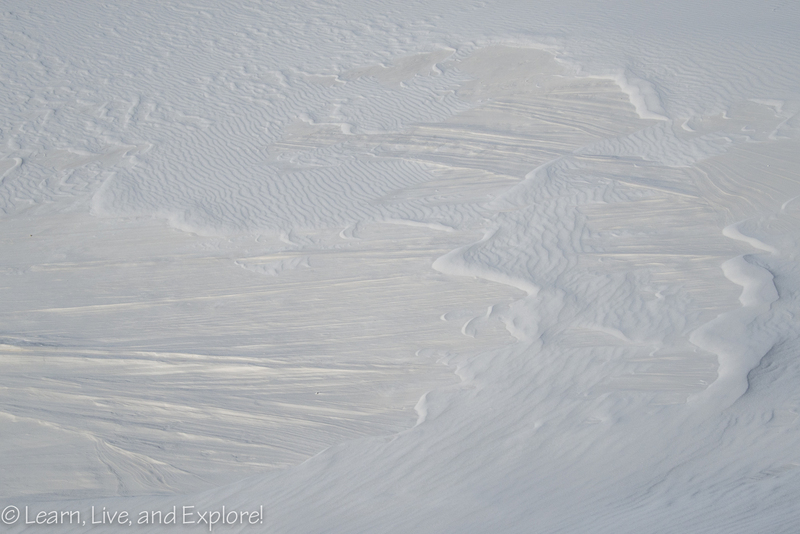 A decent wind will also help maintain the neat ripples in the sand. Of course, wind also messes with sharpness of plants and edges, especially with the softer morning and evening light where you have to slow down shutter speeds to get more light to the sensor (or bump up ISO, but then you deal with noise). Where the sand is more moist, the "frozen" sand patterns are incredible. 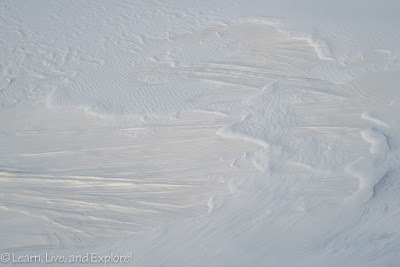 The photo below is one of my favorites I shot, and the proceeding photo is of a gorgeous fan pattern. 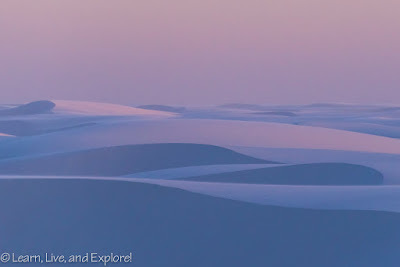 If you are planning a trip to the park for photography reasons, I would suggest giving yourself at least two days to accommodate for weather, wind, and sunrise/sunset quality. I found the park rangers were very helpful when it came to permits, even calling me on their way home to check to see if I wanted to come back early again the next day. 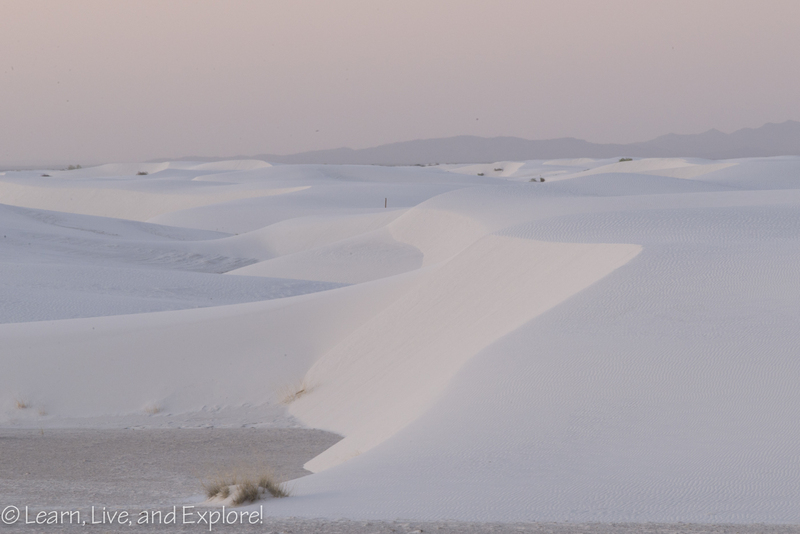 The best way to get to White Sands, if not doing a regional road trip, is to fly into El Paso, Texas and drive the hour and a half north. 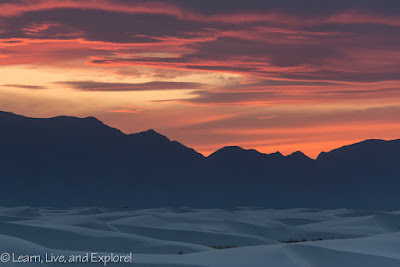 Alamogordo is the closest lodging available. 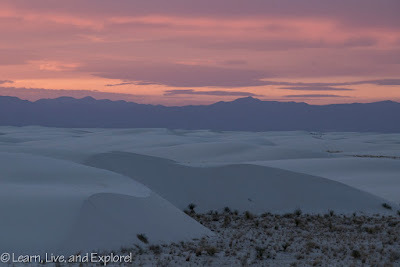 Check out my next post for some fun oddball sites to visit in the area! Wow this is very exciting! I love to explore different places so that I can brush up my photography skills. This is such an excellent place for trying different photography skills. Last week I have met a Port Macquarie Photographer who is an expert in photography. He shared wonderful tips with me about professional photography.